A walk up into the hills on a Sunday. Another set of "non-retro" photos, but I was also putting a 50-year-old medium-format folding camera through its paces that day. Just haven't got the film developed or scanned from it yet. I'm embarrassed to not know the botanical name for this one. 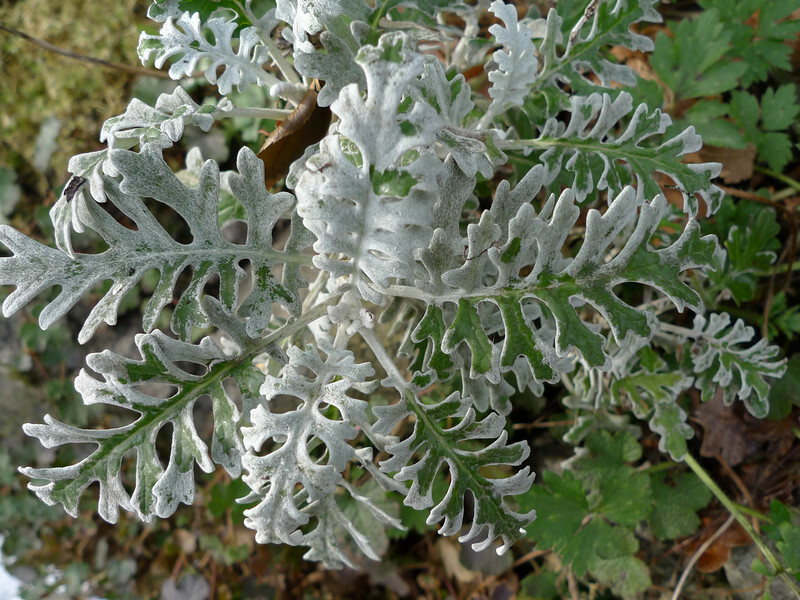 It's one of the things gardeners call "dusty miller." What caught my eye about it was how the fine silvery hairs had worn from some of the leaves, creating a two-toned effect. Usually plants get less, not more, striking as they age.